Described by many as the world’s greatest city, Tokyo is an amazing, energetic and overwhelming place in a good way, with something new to see and do each time you blink! The city that never sleeps is also filled with oases of calm and natural beauty - where leafy parks meet towering skyscrapers. Sample sushi, experience Kabuki theatre or explore Japanese history and art in one of the city’s many museums. Enjoy dinner in the centre of Tokyo and an unforgettable panorama of neon lights and high-rise buildings. You will find famous department stores, lively bars and peaceful gardens all close by, catering for all tastes. If you’re feeling more active Tokyo boasts fantastic leisure facilities, including many gyms, tennis courts, football pitches and sports centres. Our school lies in the centre of Shinjuku within easy reach of the famous Shinjuku train station and therefore extremely well positioned for exploring the city. 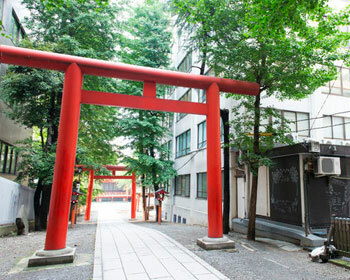 Despite being in such a busy location, the school offers a peaceful and relaxing environment in which to learn Japanese, with views to the Hanazono Shrine from the school building. The majority of the students studying here come from Western countries and our school prides itself on satisfying the needs of Western clients, with adapted teaching techniques, focussing on communication skills and incorporating plenty of culture in a familiar environment. The school facilities are excellent and the teachers are all graduates in teacher training courses from highly-regarded teaching schools. Class sizes are small with a maximum of just 7 students in each group and an average of 4! There is a great deal of personalised attention and the school staff will do all that they can to meet any needs or requirements you may have. 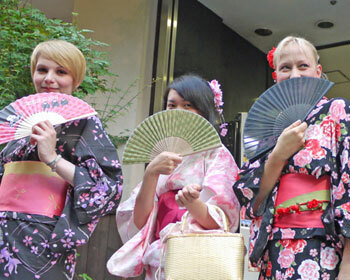 There are a number of different Japanese courses to choose from at our school in Tokyo. Each class is 50 minutes in duration and you can start your course on any Monday of your choice. You can opt for the Intensive course, either short term, long term, or even for a full academic year, where you will receive 20 lessons per week in small groups. This is the core language course at our school which is divided into 10 grammar classes and 10 language skills-application classes each week, which enable you to practise what you have learned, through conversation and discussion or through other inter-active situations. The lessons are not only held inside the classrooms but also out and about in the city with your teacher! The teachers use interesting and modern activities and materials, enabling students to learn quickly and always with a main focus on improving their speaking ability. 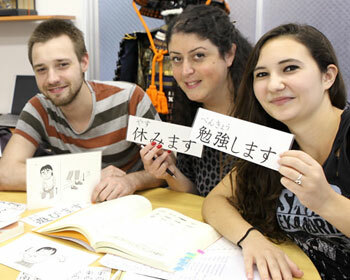 For students who already have basic Japanese knowledge, we offer a Language and Conversation Course. This is an ideal choice for students who need to, or who wish to communicate effectively in Japanese as soon as possible and there is a great deal of focus on skills for real situations, as you receive one extra conversational lesson each day, in addition to the intensive course described above. For all students interested in adding more knowledge of Japanese culture to their weekly classes, we offer a Language and Culture course for a maximum of 5 weeks in Tokyo. This course includes 3 cultural experience classes each week, on top of the Intensive language course, with both in and out-of-class activities. 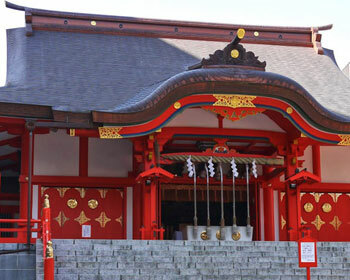 You can choose topics in either traditional Japanese culture, such as: Japanese art, history, ceramics, Japanese customs, calligraphy, tea-drinking and cuisine, among others, or you can choose lessons in Japanese pop culture, which includes information about Japanese films and television, music, manga and modern literature! 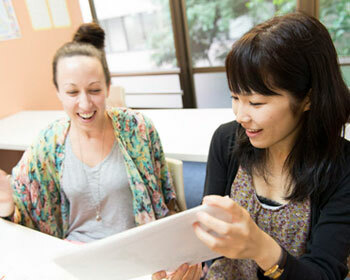 Both of these options provide a great opportunity to have fun and learn much more than Japanese language skills! Private Japanese Classes are also available in our school, except for in the busy months of July and August. These are totally catered to your own requirements and you can book as many classes as you wish. In terms of accommodation, students at our school in Tokyo can choose from host family, student residence or private apartment accommodation. For students wishing to fully immerse themselves in the Japanese language and culture we would always recommend staying with a host family, who will welcome students into their home and speak Japanese with them! These are likely to be the people who you will get closest to during your time in Japan and perhaps you will make life-long friendships. Our school works with experienced hosts and host families, who offer a very welcoming environment. A single or shared room in the residence, together with other foreigners and also Japanese students gives you the chance to enjoy the city life freely and to make new friends. The kitchens and bathrooms are shared with other guests. Private apartment accommodation is similar to booking a room in a hotel but it is cheaper and these can be rented per week. There is free access to high-speed WiFi and all necessary appliances are included. Most of the private apartments are located centrally in Tokyo city. Many students choose to arrange their own accommodation during their adventures in Japan and so of course you are welcome to book the language course only if you prefer. There is an extensive activities programme on offer at the school in Tokyo, with the aim to maximize your enjoyment and to enhance your general knowledge about the city and about the Japanese way of life! Activities include extra classes in the school, evenings out with teachers, Japanese film showings, free language exchanges, parties, martial arts, kimono-wearing, calligraphy, to name just a few! The school also arranges regular excursions, such as city tours, trips to local restaurants, local festivals, shows and local attractions or places of interest. Do not hesitate to ask us if you wish to book an airport transfer on your arrival in Tokyo, although these are not included in the course prices. When you receive your accommodation details you will also receive full information regarding directions by public transport and taxi costs. I liked doing the language course in Tokyo. It helped me a lot in improving my Japanese. I certainly want to go back and continue with the lessons. The accomodation was good. Everything what I needed was there and the location was also good. The teacher and staff at the Tokyo school were fantastic. Classes were friendly and relaxed, and I felt well well supported both with schoolwork and life in Japan. I'm also very happy with how much I learned. My language has come on in leaps and bounds since attending school! 100% satisfied.